The best performing precious metal for the week was palladium, up 4.89 percent. Wage negotiations started this week in South Africa with opening demands including a 15 percent hike for the highest paid employees and a 47 percent hike for the lowest paid. With the threat of possible strikes and a 19-percent rise in auto sales in China reported for June, related to tax cuts on auto purchases, we could see further upside in palladium prices. 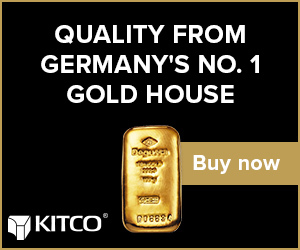 “Gold is the unprintable currency, unlike the yen,” said Itsuo Toshima, former regional manager for the World Gold Council in Tokyo. According to Bloomberg News, Abenomics skeptics are selling the yen to buy this unprintable currency – gold. 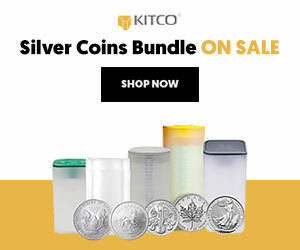 Individual investors drove a 60 percent jump in sales of the precious metal in June from May at Tanaka Holdings, the operator of Japan’s largest bullion retailer. Tanaka Holdings announced this week its plan to buy Metalor Technologies International SA, a privately held Swiss precious metals refiner, reports Reuters, expanding into precious metals recovery and refinery in Europe, North America and Asia. The aim is to boost Tanaka’s business as local growth stagnates due to a falling population by expanding their presence in the supply chain. No terms were given yet in the statement. 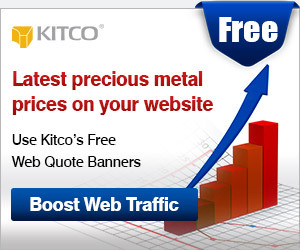 The worst performing precious metal for the week was gold with a loss of 2.11 percent. At the end of last week, the net long gold futures position on the COMEX had reached an all-time high, when we were in line for a possible correction. Interestingly, gold equities did not fall as much as the gold price over the past week. Gold assets held in the world’s largest ETF backed by the metal, the SPDR Gold Shares fund, dropped the most in three years, reports Bloomberg. Holdings fell 16 metric tons to 965.22 metric tons on Tuesday as U.S. equity markets reached record highs. Following the U.K.’s decision to keep rates at 0.5 percent, gold dropped to a two-week low. The outlook for more central bank stimulus is curbing demand for the metal as a haven, notes Bloomberg, while a decline in demand from jewelers and retailers is also pushing the price lower. Gold was also impacted by a strong U.S. jobs report against signs of risks to the global economy, reports Bloomberg. Payroll data exceeded analysts’ expectations, buoying stocks and other risky assets, the article continues. In related news, SoGen announced Monday that gold producers expanded the hedge book 1.6m ounces in the first quarter, and stood at delta-adjusted 8.7m ounces at March 31. The majority of net hedging in the first quarter came from Newcrest and Polyus Gold. In its Global Gold Outlook this week, RBC Capital Markets increased its gold price assumption from $1,300 to $1,500 in 2017 and 2018, which is 12 percent above the current spot price. 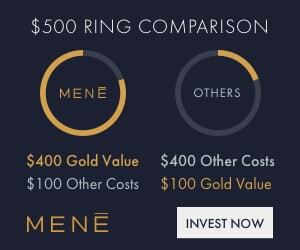 Citing one of the key gold price drivers, RBC notes that “a negative real rate of -1.0 percent suggests a $1,546 gold price.” Bank of America agrees that the yellow metal could move higher, stating that gold is headed to $1,500 an ounce, while also pointing out that silver can overshoot $30 an ounce. A combination of a weaker U.S. dollar and previously deferred demand from Asia should support the gold price in the second half of the year, according to a report from Citi analysts. 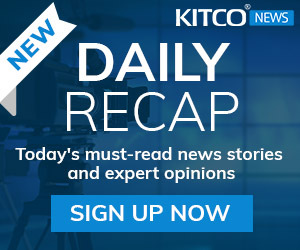 Klondex Mines reported its preliminary quarterly production results this week of 41,436 ounces, according to a statement released by the company. This apparently beat expectations as the stock rose better than 1 percent this week while the averages were down almost 2 percent. Jaguar Mining also reported strong second quarter production this week of 24,222 ounces of gold, a 17 percent increase year-over-year. The company also cited high-grade gold mineralization recently encountered, confirming downward extension at depth at its Turmalina gold mine. Jaguar says the drill results provide potential to upgrade current inferred resources to higher category. For the first time ever, Germany issued a 10-year bond at a negative interest on Wednesday, selling more than 4.0 billion euros with a yield of minus 0.05 percent, reports the Bundesbank. Negative interest rates in Japan are also present, and seem to be backfiring in a big way, reports Bloomberg. The article reads, “Instead of encouraging spending, people are stashing their cash in safes, with sales of house safes increasing 250 percent over the last year.” What’s even more troublesome, is many elderly Japanese people are purposely committing crimes to end up in prison – a place with free food and health care, since negative rates are eating up their savings. In Brazil, bitcoin seems to be gaining more and more momentum, reports NewsBTC.com. The digital currency trading volumes in Brazil have actually surpassed that of gold in the last six months. “The recent rise in bitcoin prices from about $450 to over $700 before stabilizing at around $650 is attributed to increased demand in the Chinese market, Brexit and other external factors,” the article reads. According to portfolio strategist Martin Roberge of Canaccord, gold could correct in the summer. Roberge noted that gold stocks have outperformed the broader S&P/TSX Composite Index by 71 percent this year, and while this does not mean the bull market is over, he believes this kind of run is usually followed by a “higher risk” phase.